Spousal permits (now called visas) were issued for any period between 1 and 3 years prior to the new Immigration Act of 2014. It is often the case that individuals have a need to ‘renew’ their spouse visa due to it reaching its expiry date. Below we look at some of the rules regarding renewing your spousal visa or permit, the application process and when you may need to ‘renew’. 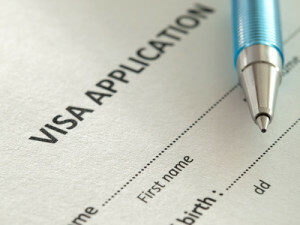 When do you need to renew your spousal visa or permit? All temporary visa’s or permits have an expiry date. In this case the spouse visa itself (the stamp in your passport) will record when this expiry date is. In the Regulations it stipulates, very importantly, that you must apply for a renewal of your spouse visa / permit at least 60 days prior to this specified expiry date. What if I now qualify for permanent residency? It may well be that you have now been married for 5 years in which case you can apply for permanent residency (spousal permit). However, this will take many months to obtain (even up to 2 years plus), so you will still need a valid visa to remain in South Africa. You will therefore need to submit a renewal application at least 60 days before expiry of your current spouse visa. Even if you have already applied and continue to wait for the approval of your spousal permit application (for permanent residence), you need to maintain a valid visa to remain in South Africa. You will therefore still need to submit an application for renewal at least 60 days before your current spouse visa expires. Please ensure that if your spouse visa / permit has an endorsement for work, study or business that the renewal of this is included in your application. Endorsements are not a once off process and their continued validity must be ensured. Although referred to as a renewal, it is fact a complete new application which is judged on the immigration rules at that specific time. Do bear in mind that applications take some time to compile, so with submissions having to be made at least 60 days prior to your current spouse visa expiry date, you should start planning no less than 6 months before. Consultations are free of charge and carry no obligation. We have been assisting South Africans to bring their spouses ‘back home’ since 2006 and boast of in excess of 6000 successful visa applications. We have dedicated specialists in spousal visa applications both in Cape Town and Johannesburg and frequently hold free consultations in London and Holland. We are also the only ISO 9001 accredited immigration company for immigration to South Africa. To learn more about spouse visas and where to apply simply select your preferred method of communication or use our live chat feature.